The sounds emanating from that thing have to be better than the terrible screeching of the trains, right? Also, that has to be this guy we saw on Muni last month, right? 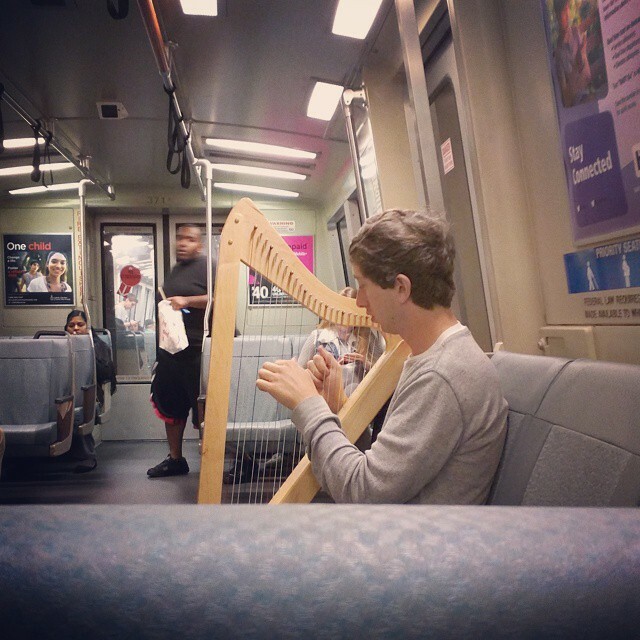 That’s not a full-sized harp, but could it be an Irish harp?